Warning – This interview contains spoilers for season 4 of Gotham. Andrew “Drew” Powell is an American actor and veteran of vintage, quality American TV. His first television role was on Malcolm In The Middle, where he appeared in thirteen episodes. He then went on take over the roll of Hoss Cartwright on the Bonanza prequel series The Ponderosa. Since then he’s appeared on countless episodes of some of the best loved shows on TV, including House, ER, and Cold Case. To fans throughout the world he’s probably best known for playing Butch Gilzean in four seasons of Gotham. Though he was seemingly shot and killed at the end of season three, Butch was resurrected as classic comics villain Solomon Grundy for season four. Fans of fantasy and sci-fi will also recognise him as the living embodiment of The Library on a season two episode of the excellent series The Librarians. He’s also voiced characters in the hit video games Hitman: Absolution, and Grand Theft Auto V.
Back in May Drew attended the second annual Heroes & Villains Fan Fest. This event is the biggest event for fans that the UK has ever seen. My son, and fellow writer, Adam and I had the honour of attending this year and last. 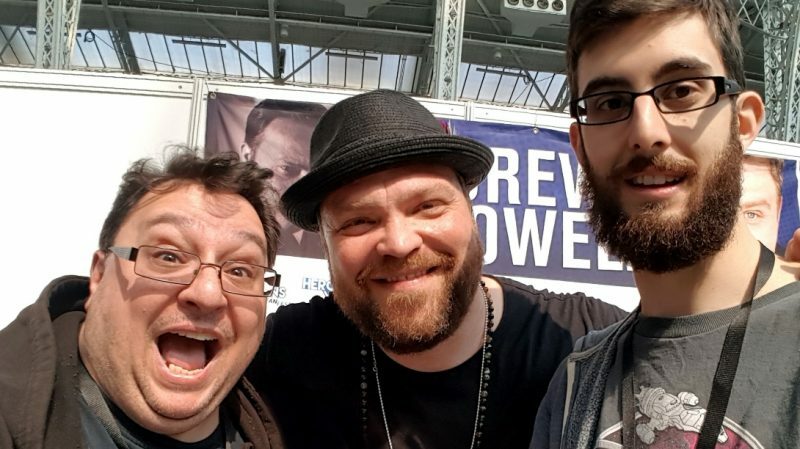 Amongst the many stars we had the privilege of interviewing was Drew Powell. He is one of the warmest, friendliest and most genuine people you could ever hope to meet. He was at his desk with his young son Leo when we saw him, and he was kind enough to talk to us. Steve J. Ray: Hello again! Welcome back to London. Are you having fun? Drew Powell: Hi guys. Listen… this place is great. The fans here are just incredible. SJR: I guess the news that Gotham season 5 is happening, but will be the last is bittersweet at best? DP: It is, but the fact it’s happening at all is great. I don’t know if season five would even be happening without the fans. You guys really helped keep the show running, and growing. 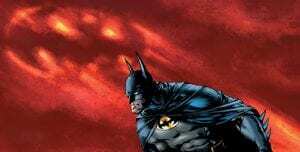 SJR: We LOVE Gotham! It’s so different to all the other comics shows. The on-location shooting using New York as a living, breathing backdrop. Every episode feels like a movie. The production, and direction is cinematic. It doesn’t feel like a weekly TV show. DP: Thanks for that. That’s what we aim for. Minimal green screen and CGI. Almost all of what you see on screen is physical and real. SJR: On that subject, thanks for giving us a real, living, breathing (kind of) Solomon Grundy. When I heard that the character was coming to TV I was dreading a horrible, fake CGI monstrosity. Instead we get a real person, giving a real performance. DP: Wow, again… thank you. We really had a ton of concerns going in. Fans of the big movies expect so much, but very rarely does a CG character give a performance on a believable level. Not without a budget of hundreds of millions of dollars. I worked really hard on becoming Grundy, I got one hell of a personal trainer too. I worked with David Harbour (the new Hellboy). SJR: Wow, that’s so cool. DP: Yeah! The difference is that Dave still has that rubber suit/prosthetic. As Grundy that’s 100% all me. Look at me in seasons 1-3 of Gotham, and as Grundy. That’s two different guys. SJR: It really is. As fans, we really admire the hard work, the dedication, and the performance. Thank you. SJR: So, Butch/Cyrus/Solomon, has been shot, maimed, killed, reborn… and everything in between. DP: (Laughs) Yeah, poor guy’s not had an easy time of it, has he? SJR: How would you describe his journey, and can you tell us if we’ll see him again in the final season? DP: He started out so strong. Respected… feared even. Gotham City breaks people, and makes people. Butch is a great example of that. With Fish (Mooney) he was almost at the top. He’s fallen in love with Tabby (Tabitha Galavan, played by the incredible Jessica Lucas), he’s had his hand chopped off. He’s been shot, killed and come back to life as a swamp monster. Will he be back again? The truth is, right now, I honestly don’t know. 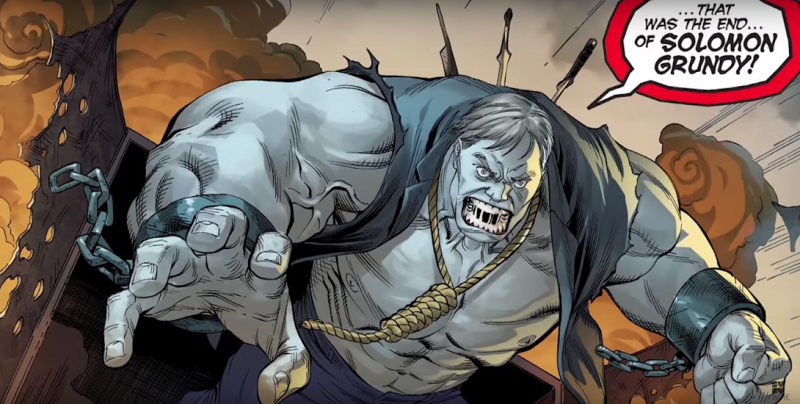 SJR: Solomon Grundy is never gone for long, in the comics at least. 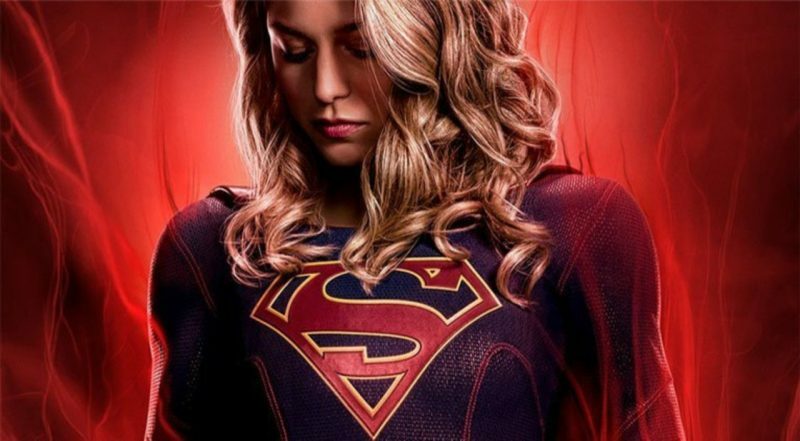 DP: Exactly, and that’s where I might have an in for the next season. Grundy isn’t even truly alive, as we understand it, so there’s always a chance. That’s what I keep telling John (Stephens – Producer) and the writers. I hope I’ll pop out again from a swamp. SJR: He’s been reborn dozens of times, from swamps and sewers. At one point point there were about ten of him running around at once in the comics. DP: Exactly! Here’s hoping. You can never say never. SJR: Drew, thank you so much. You’ve been amazing. Bye, Leo! DP: (Drew smiles). Thanks, guys. Great talking to you. Thanks again to Mr. Powell for taking the time to chat. Be sure to check out even more interviews and coverage from the event, over the next few days on DC World.